Creative inspiration, motivation, coaching, classes and workshops. It’s Time To Shine Your Light! You’re sure to be feeling some strong emotions this week. You may feel outraged, saddened and fearful. You may feel thrilled, happy and hopeful. Even though the outcome of the recent election has polarized us as a nation I truly believe sharing our creative light with each other will help us begin to heal our bitter divisions. Whichever side you support, now more than ever, it’s time to let your creative light shine! While hateful, angry bile spews forth on social media and closer to home, in my daughter’s school and even in the faces of close friends I cannot sit by and do and say nothing. I must stand up with all the love and light in my heart and I ask you to join me. Even though you may or may not agree with my liberal political views, those of you I know personally who don’t, I know to be good, loving people. I ask you to join me as together we shine our light brightly and treat each other with love and respect. Now is the time to brighten your own life with your own Creative Oasis. The positivity and joy you experience personally will surely radiate out to those around you! Now is the time to embrace your creative passions. Whether or not you share some of my “woo-woo” beliefs (positive energy, heemeesheemees, all this talk about love and light) I ask you to join me in putting your best self forward. Now is the time to share your creative gifts with the world. And believe me, you do have gifts to share! One of my greatest creative gifts is the ability to help you share yours. This is one way I can shine my light and move from feeling helpless to hopeful. If you feel stuck, afraid or overwhelmed, please know that I’m here for you! Send me a message using the “Contact” link above and let’s set up a time to talk. I am so honored to be working with women right now to help them share their music, their blogs, their art and their teaching gifts with the world. If so, let me help you shine your creative light into the world starting here and now! This tiny little Buddha brings me big joy several times a day. He hangs around (literally) on the mirror by our back door where I keep my car keys. His impish smile and peaceful pose give me an instant happiness boost as I come and go from home. He was the ideal candidate to share on the final day of my #100 Happy Days challenge. Click here to see the pinterest board I created to share the fun variety of people, places and things that made me happy over the course of 100 days. You’ll notice that I actually posted 103 photos. This is because I’m a creative rebel and math is not my best subject. In the coming week, what if you stay on the look out for little things that can bring you big creative joy? For example, yesterday while getting dressed for a trip to the museum with my family I played with putting together new creative combinations of jewelry. News flash! Even the simple act of choosing which clothes and jewelry to wear can add creative fun and fulfillment to your day. If you let yourself think outside the usual creative outlets of things like art, music and crafts what other little ways might you experience creative joy in the coming week? Light candles for your dinner table? Listen to music and dance while you clean house? Try a new recipe? Set out some shells you’ve collected on a beach trip in a pretty bowl? What sounds good to you? This photo of a bowl filled with some of my favorite beach shells was day 99 of my #100 Happy Days experience. Even looking at the photo now is a little thing that brings me big joy. Here’s to finding big joy in little creative experiences in the coming week! If you’d like to share a little something that brings you big joy in the comments below that would be lovely! P.S. ~ If you enjoyed this post please share on Facebook and twitter using the buttons above! To receive bite-size bonbons of creative inspiration like this Mid-Week Oasis Moment plus a free copy of my “Permission to Be Creative 101” guide join me click here. You’ll also receive a free copy of “Permission to Be Creative 101” – my short e-book that will help you take the first small steps to make the time and space for creative fulfillment – your Creative Oasis – in your busy life! Recently, I realized during one of these morning constitutionals that I was so focused on the stretch of sand just ahead of me that I had to remind myself to stop and take a moment to turn to the sea, to breathe in the fresh morning air and drink in the splendor of the foamy white waves rolling onto the shoreline. As I took a moment to revel in the beauty and rhythm of the rolling waves, the sounds of the surf and feel of the salty breeze on my face and the soft sand beneath my feet, I realized that this was just like our day-to-day lives. Often, we set off running through our days – seeing only the few feet in front of us – attention focused on the immediate tasks at hand. It’s only when we remind ourselves to stop and really take in the wonder and beauty of life that we can revel in the present moment. It seems to me that one of the benefits of mid-life is this is a time we finally begin to appreciate how delightful, how important and how absolutely necessary it is to stop and smell the roses (or sea air, or first cup of coffee of the day). In our 20’s we’re usually moving fast and furiously (even if we don’t know what we’re moving towards). In our 30’s – we may have others’ needs to consider (a partner, a child, a boss…) and we tend to put our needs on the back burner. But as we approach our 40’s and beyond, it begins to dawn on us – “Hey – this is my life. No one else is going to live it or enjoy it for me. I better starting doing some things that I want to do for a change!” Mid-life oasis here I come! And, if by chance you haven’t had that though yet, let me by the first to share it with you – take some time today, (take some time every day), to treat yourself to an oasis moment. Turn towards the waves and the rising sun in your world and revel in it. Paint your toenails or a canvas or a t-shirt. Toast your girlfriends or some marshmallows around a campfire in your backyard. Take a walk – even if it’s just around the block and notice five things you’ve never seen before. Dedicate the experience to yourself. Be fully present in the moment and let it fill you with delight. Then watch how little bursts of joy seep into other aspects of your day. You may find yourself smiling for no particular reason other than it just feels better that way. Beach people are happy people…and my wish for you today is that you enjoy a little bit of beach people attitude wherever you may be. Want more creative joy in your life instantly? 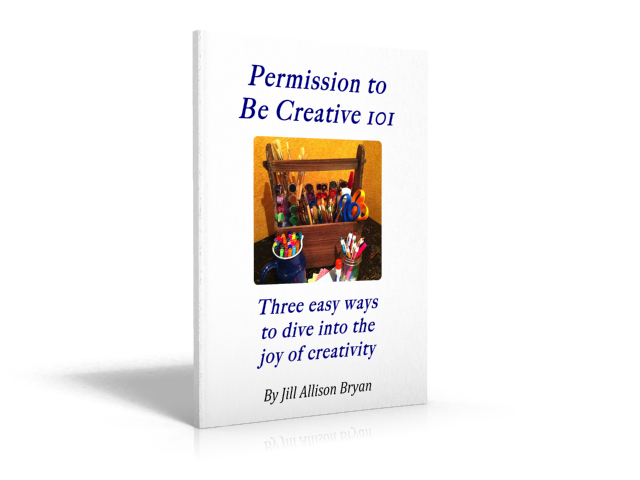 Grab your FREE copy of my Permission to Be Creative 101 guide. Do procrastination, perfectionism or pesky inner critic voices keep you from the creative experiences you crave? Wish you had more time and energy for your creative pursuits and passions? Could you use some support and gentle accountability to make your creative dreams come true? Creativity coaching totally transformed my life and now it's my passion to help other people enjoy more time and space in their busy lives for creative fun and fulfillment. 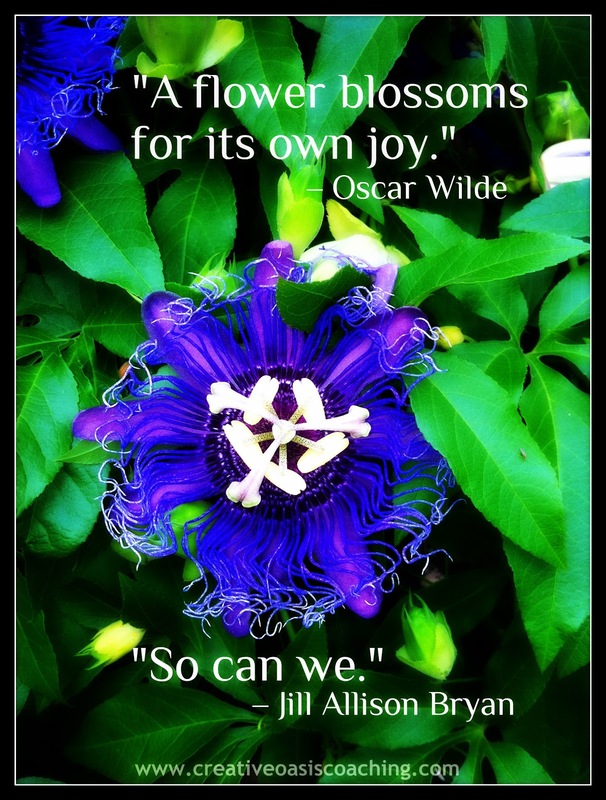 Learn more about Jill Allison Bryan and Creative Oasis Coaching here. Are Monkeys Stealing Your Green Tea? Why I Gave Up On My 2018 Goal and Why I Know I’ll Succeed in 2019! Want more creative time filled with experiences that energize and delight you? Say goodbye to guilt and hello to the creative productivity you crave!